Portimão Arena is the latest, modern and innovative infrastructure of the Algarve's Fair and Exhibition Center. It is born from the need to provide the Algarve with a multipurpose pavilion capable of hosting meetings, banquets and other corporate events, such as brand launches or products, fairs, congresses and even sporting and musical shows of great scope. Versatility and modularity are thus its main characteristics, varying the layout of the space according to the character of the event and the number of people involved, whether it is a small 10 business meeting or a great show for 7 thousand spectators. The striking architecture completes the uniqueness of this large event space in the Algarve, located along the Arade River and within a region where business opportunities flourish and boil demand for cultural events. The Portuguese Football Coaches Association Fórum (ANTF Forum) is the biggest event in Portugal about Football Coaching and one of the biggest in the world. 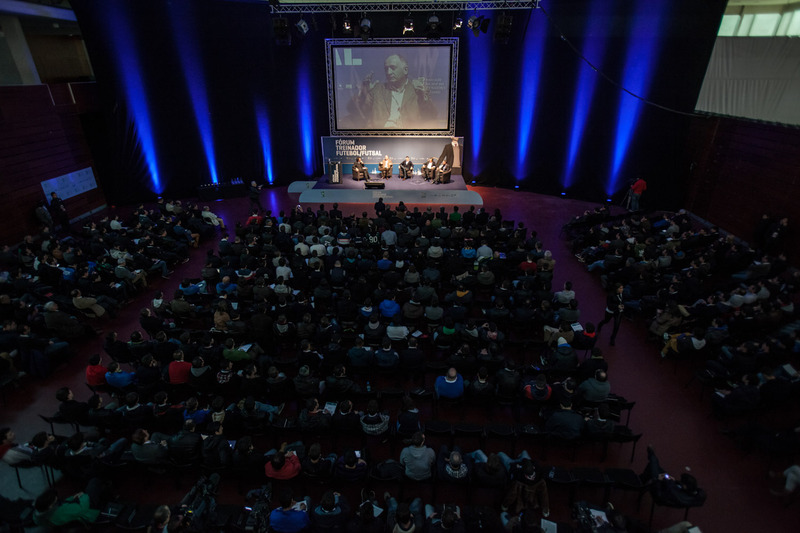 In its 7 editions, it gathered more than 10.000 attendees and more than 200 Football Coaching top experts world-wide. In this event you can find the identity of the "Football Coaching Made in Portugal" that had so many successes a bit all over the world! The 2019 edition will be bigger and better! In Portimão - Algarve will be present many of the best coaches in the world and a huge community of football coaches coming from the 4 corners of the world! It's a must attend event to all of those who want to be up-dated with state-of-art coaching strategies and techniques! Conference Materials + Access to all Seminars + Participation in 3 workshops. O evento permitirá a atribuição de 15 horas de formação para renovação das Licenças UEFA-PRO. O acesso via Streaming, permitirá aatribuição de 1.5 Unidades de Crédito, não permitindo o reconhecimento de horas de formação UEFA. The ANTF Forum is the biggest event in Portugal on Sport Training! The last edition had the participation of 750 Football and Futsal Coaches! So, if your brand seeks contact with these professionals, it is mandatory to participate. For the conditions for exposure at this event, please contact us by clicking here. Please contact the email forum@antf.pt for more info. We're available for any kind of clarification. We are setting up a great football coaching experience were you will have the opportunity to learn from the best and live the most state-of-art experiences in Football! 6 days sharing great knowledge! During 6 days you will have the opportunity to be close together with some of the best coaches in the world and to learn with them both in the classroom and on the pitch. This international Football Coaching Clinic also includes a VIP presence at the ANTF Forum in Portimão / Algarve. Serviço de streaming se destina exclusivamente para Treinadores que estejam actualmente a trabalhar no estrangeiro.